Why Aren’t There More Home Performance Contractors? Home Performance (HP) is the art and science of making a home a wildly comfortable, healthy, long lasting, and efficient place to live. Asthma in children can be substantially reduced. Allergies can be substantially reduced. Mold can be practically eliminated. No one will have the hot or cold room anymore. Humidity is managed so husbands don’t sweat at 75, yet wives don’t have to freeze at 70. Roofs can last 5-10 years longer. The benefits are hard to overstate. Real numbers are showing energy savings in the 30-70% range – enough to make a serious dent in climate change. Here are numbers on one of our projects that saved over 45% in gas usage last winter. The sad truth is, too few contractors are practicing Home Performance to make a difference. It’s not a percent of a percent of the home improvement industry. The reason is simple. Consumers aren’t seeing the value. It’s expensive to do HP well, and consumers simply are not being shown enough value to pay what is necessary to do it well. The solution? Not quite as simple, but very possible. Here is what brought this to mind for me. I just returned from the 2015 ACI Home Performance conference in New Orleans. At the keynote, by my friend Milt Matter’s estimate, less than 10% of attendees self identified as Home Performance contractors. ACI, put on by the Home Performance Coalition, understands that this is a serious problem and has gone to great lengths to get contractors there. Yet they are failing. Probably not for the reasons they think, though. In my opinion, there is presently such a small market for Comprehensive Home Performance (not small seal, blow and go jobs that sometimes are called HP) that contractors don’t see value in raising the bar. It is up to us as an industry to change this. We’re early yet, but my company Energy Smart is selling projects in a hostile market – low housing values, low utility costs, no rebates, modest incomes, and poor financing options. All the cards are stacked against us. Our typical project size? $15-$30,000. How do we do it? We show value. Frankly, the sales process we have developed is not widely scalable. Yet. (We think it can be, but there is more work to do first.) It hinges on high quality work. But high quality work is the standard, right? Nope, not so much. Every project we do has serious babysitting costs. I babysit at least three typical crew member types: lazy, don’t know better, and don’t care. All of these things have to be watched. I write a diary entry after every job outlining which ones showed up. Also, over 20% of my work through the years has been in homes built since 1990. Energy codes have been pretty good since then and how houses are constructed hasn’t changed that drastically since then either. If new houses are so good, why is so much work needed on them? Mold in the attic of newer homes in the rule, not the exception. Because there is currently no way to measure quality. Therefore contractors have no reason to deliver, especially when they are constantly pounded to do their job for less money. As I found while contracting, delivering quality was a competitive disadvantage. The better our work, the lower the margins. Until quality is actually measured, it has no value. Here’s an example from the automotive world. Toyota makes a very high quality car. How do we know which brands are better? JD Powers ranks them by number of problems when new. Consumer Reports ranks them when new and as they get older. There are now two Scions (a division of Toyota) in my garage. My car, a 2008 xB, was ranked the most reliable compact car by Consumer Reports. Better quality cars are worth more. I paid considerably more for my xB than I would have for a Dodge Caliber, which is a very comparable car. Why? I valued that quality. I often do my own mechanical work, but I don’t actually like doing it, so I want a car that doesn’t break often. 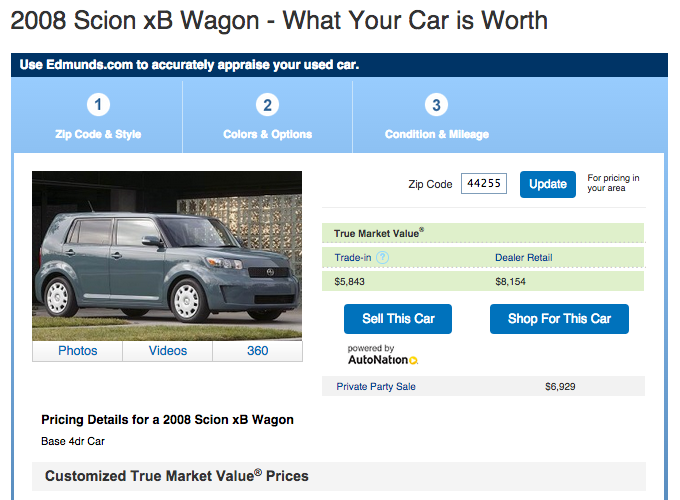 On Edmunds.com private party value for the xB with 95,000 miles on it is $6929. 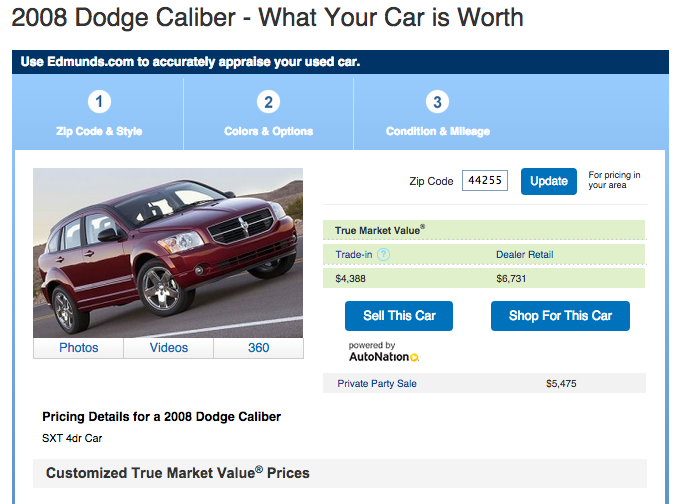 It’s $5475 for the Caliber with the same mileage and very similar options. The better quality car is worth 26.5% more than the lower quality one. That’s a lot of value for the same class of car. On another note, did you know that Toyota earned more than Detroit’s Big 3 combined in 2014? High quality often leads to profits. Profits are necessary for growth. They are also one leg of the Triple Bottom Line: people-planet-profit. Profit is not a dirty word. Without it, the best talent won’t come to Home Performance. In fact I’ve personally watched quite a few people leave. I almost left myself. If we, as the Home Performance industry, want more HP contractors, there has got to be a decent living in it. No more of this ‘we’re not in it for the money’ malarkey. If we want to grow as an industry, our brethren have to make enough to feed their families, plus some. It is our responsibility to create this reality. How can we show consumers that our services truly offer quality that is worth more so those of us who perform better work can be valued like Toyotas, with Toyota’s margins? While ‘performance’ is in the name of our industry, we don’t actually measure anything. Not to the extent that it can be compared by consumers to figure out which contractor is the best one for them to use. Without some sort of metric, how can a consumer decide who is best? This is a subject for another article, but our industry does a TON of stuff that is measurable – air leakage reductions, energy use reductions, and much more. If we do not leverage real performance numbers as an industry, I firmly believe that we are doomed to a future of mediocrity. Given the choice between an insulation contractor who says they’ll insulate your attic for $1500 and a Home Performance contractor who wants $7000 for the same job, who would you choose? I have personally watched two friends of friends laugh on Facebook about getting a quote to insulate their attic that was over $10,000. You would recognize the company name if I said it. Those consumers didn’t see the value. Energy Smart is selling attic jobs that big and bigger. 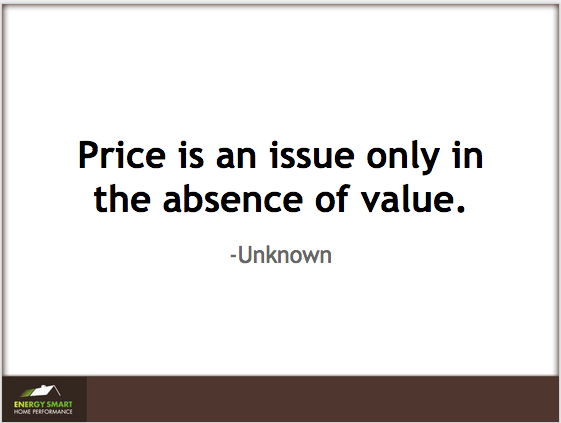 Like the quote says, when price is an issue, there is a lack of value. Unless we show those consumers the value of doing the job right, that cheap guy is going to get the job. Guess who comes to ACI to learn about Home Performance? Not the cheap guys. They can’t afford it. They can’t afford to do better work for the same price. They don’t care about delivering results, just getting the job. And why should they? Consumers aren’t clamoring for better results. We MUST stop the race to the bottom. Until the Home Performance industry begins to show how our work is far superior to that of insulation contractors, unenlightened heating and air conditioning contractors, roofers, mold guys, etc – we will continue to lose. Doing things the right way simply costs more. It’s been 40 years since our industry began, yet by the late Phil Jeffer’s estimate, 1000 new furnaces are installed for every Home Performance job. Until we show consumers why we are better with real metrics, and until they begin to demand our services, we are going to continue to languish in mediocrity. How many HP contractors do you know netting upwards of $100K? I maybe know 5 nationwide. I know more than 5 HVAC contractors doing that just here in Cleveland. See a problem here? Until we sell more of these larger, higher quality jobs, we are not going to sustain an industry of capable and profitable contractors. Until we sustain an industry of profitable contractors, ACI is going to continue to be a show for utilities and utility program personnel. What do we need to do to fix this? We need to show serious value to consumers, so the value of “better” is more than the price. We need to prove our value to consumers so we can charge what we need to in order to solve their problems, make a living, and pay our people well. Oh, and solve a big piece of climate change. I believe this begins with metrics. Let’s put the ‘performance’ in Home Performance. Let’s be open and transparent. I’ve been excited about HPXML for years, the data is being assembled. HPXML is a data standard that can pull information from multiple sources (energy modeling programs are one key place) to be analyzed by separate programs. HPXML is one possible way to get this information to be open and transparent. I believe we need to create a competition among Home Performance contractors. Open and transparent data is the foundation of this. As far as the competition goes, there need to be multiple metrics so different business models can operate under it. It can’t be a winner take all competition. We need the equivalent of some teams being better at offense and others at defense, for example. I used to believe this competition was best done under the regime of utilities and efficiency programs. ACI changed my mind this year, I believe both of those entities to be holding back our industry. It’s time to break free. This realization frankly feels like a death to me. I have been depressed since getting home from ACI. I prefer to work with people, not against them. I will no longer focus on that path. Let’s create this value and competition in the private market. We don’t need programs to prove we’re good. Do you care about delivering results? If you’ve never measured your results, how can you honestly say yes to this question? Yes, I’m throwing down the gauntlet. It’s time to start measuring. I now believe we can create a competition amongst ourselves, separate from programs. Oh, and measure real energy savings that can later be sold to interested parties, maybe something like Matt Golden’s concept of Open EE Meter, which is meant to be free and universal. FUBU, if you will: for us, by us. Measurement, competition, and rankings will be a major first step in helping the Home Performance industry show our value to consumers. Let’s be Toyota. One Knob is developing a system to do this completely outside of any program or utility. It is One Knob’s goal to scale the Comprehensive Home Performance market. I want to see myriads of financially successful, extremely fulfilled Home Performance entrepreneurs. And I want to see those entrepreneurs coming to ACI to learn how to up their game. It’s up to us as an industry to make this happen. Watch this space as our plan evolves. Please sign up for the blog below if you want to watch us. We post every sometimes. Maybe you’ll join the One Knob competition, too? My ACI presentation (with Ethan MacCormick of Performance Systems Development) on selling $15,000-$30,000 projects by showing consumers value, creating Smart Trust, and walking them through the process. Peter Troast’s review of ACI 2015. I riffed off of it. Confessions of an Insulation Contractor – The story of why I threw in the towel contracting and why I became a consultant. This was my first shot at radical transparency. It’s freeing and a lot of people noticed – they have had the same struggles. How an Efficiency Program Killed My Business – A post mortem of my contracting company. The Journal of Light Construction and Green Building Advisor also published it. We have found our thoughts are resonating greatly in the industry. One Knob Part 1 of 4 – The start of the program design that began One Knob Consulting. The idea is morphing, but the principles are the same – Results Focus, Accountability, and Market Transformation. GreenTech Media and Green Building Advisor also published it. This entry was posted in Program Dysfunction, Showing Value, Vision and tagged accountability, ACI, contractors, culture, Feedback loops, measurement, Motivation, opportunity, value. Bookmark the permalink.